Hellooo readers! Guess what? I celebrated my 15th birthday on Saturday! 😀 It was one of the best ones I’ve ever had from getting my makeup done to shopping and even having Thai food for the first time! I want to thank everyone that thought of me that day, especially my family! High school has been a huge change. I came from a pretty small school and now I am in a building with over EIGHT-HUNDRED kids! You can imagine the traffic in the halls. Anyways, I haven’t done a beauty post in literally forever and decided to change it up and share my 5-minute make up look! I try to be very age appropriate in everything I do, and that includes my make up. My day to day look is very natural, with some minimal highlights to brighten up my features. And it’s acceptable for school! I begin with my bareMinerals foundation. BareMinerals is a great line for young skin like mine. It’s natural, light, and this one has a formula to help with acne! 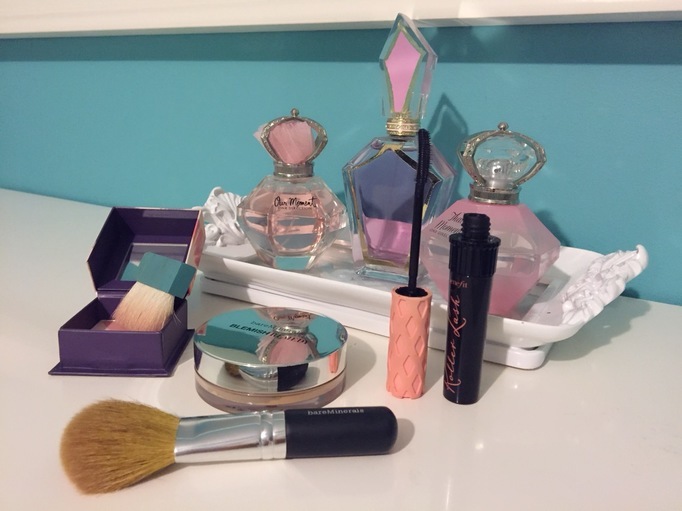 I use their Flawless Application brush to apply. 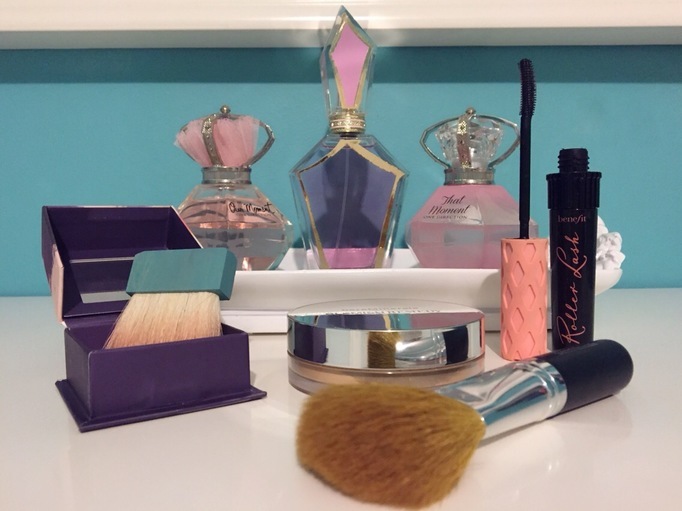 Next, I use the Benefit Hervana Blush. 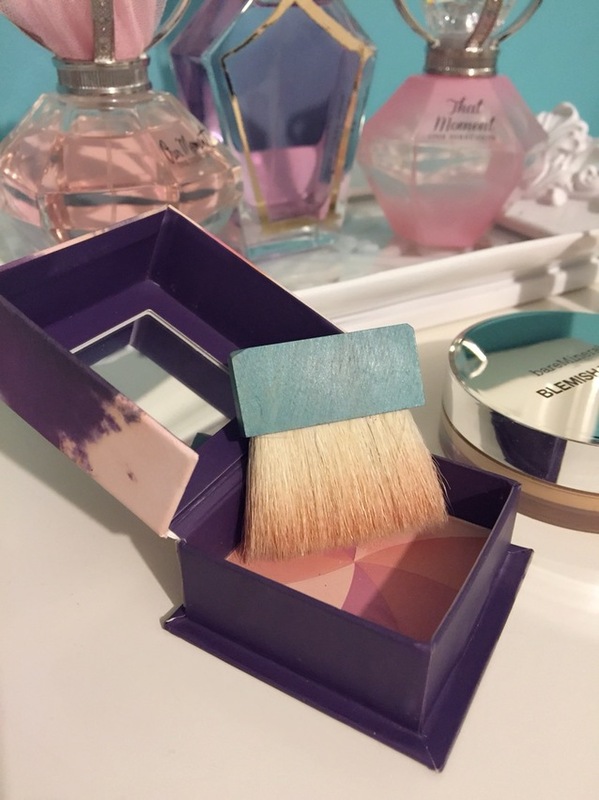 This blush is so fun with its color wheel! And I love it because the colors give a natural rosiness to my cheeks. 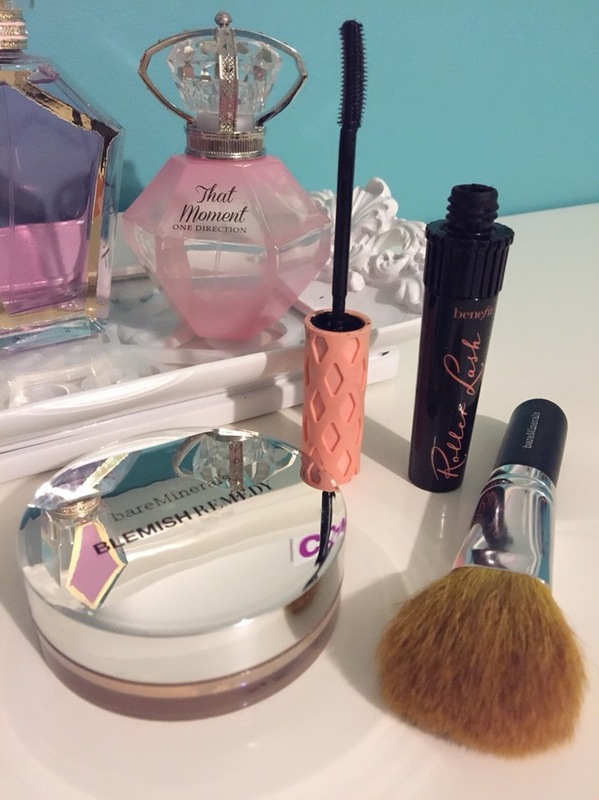 Finally, I use my favorite mascara of all time, the Benefit Roller Lash. I love this so much because it curls your lashes without having to use an eyelash curler. (Tip: I use an eyelash curler before applying mascara anyways to make them look even longer.) 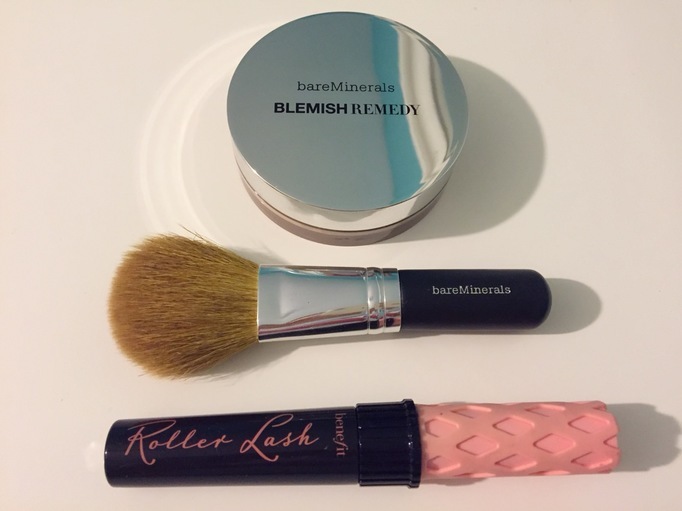 The brush is has short bristles and is curved so it causes less clumps and catches every lash! I’m a really huge fan of this mascara and recommend it to everyone! PS: For a finishing touch, I dab on just a little gloss. I love using the Benefit Lollibalm! It has a very slight tint but leaves a natural look.